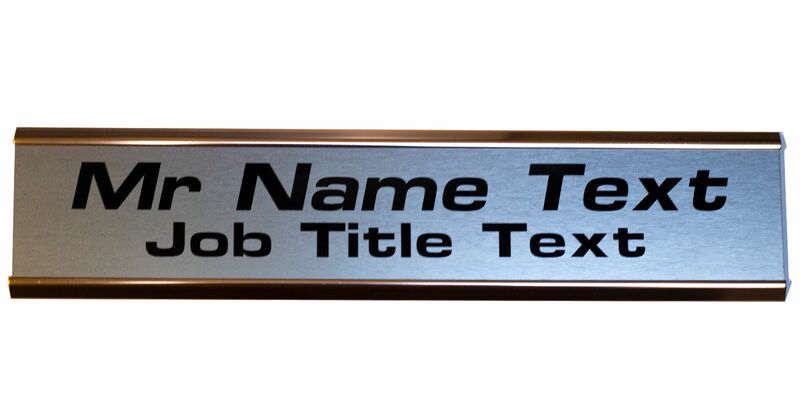 Two line Custom Nameplate Door Sign with Aluminium Holder. Your name, room name or any text up to 18 letters per line. 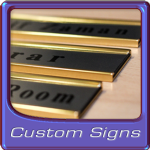 Complete with Gold colour aluminium holder.